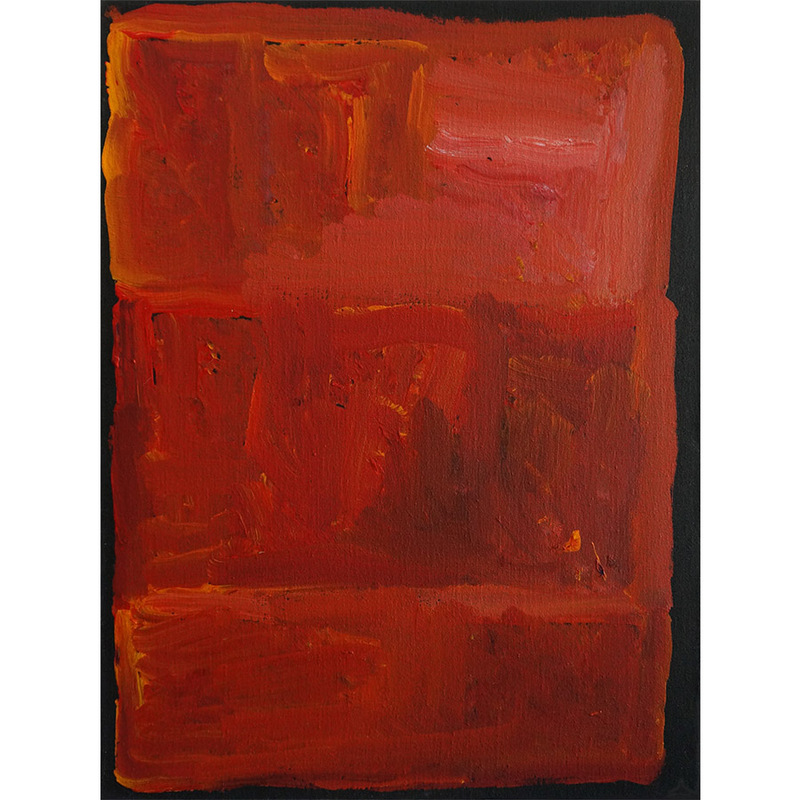 Kudditji, the younger brother of the late Emily Kame Kngwarreye, has actively painted since 1986. Like many men of his generation Kudditji lived a traditional bush life as a child whilst making a valuable contribution to the stockman's profession he also sought employment in the mines prior to developing his painting and settling on an artistic career.He took a radical path with his painting style in the mid 1990s, moving away from the common pointillist style associated with the Utopia region. 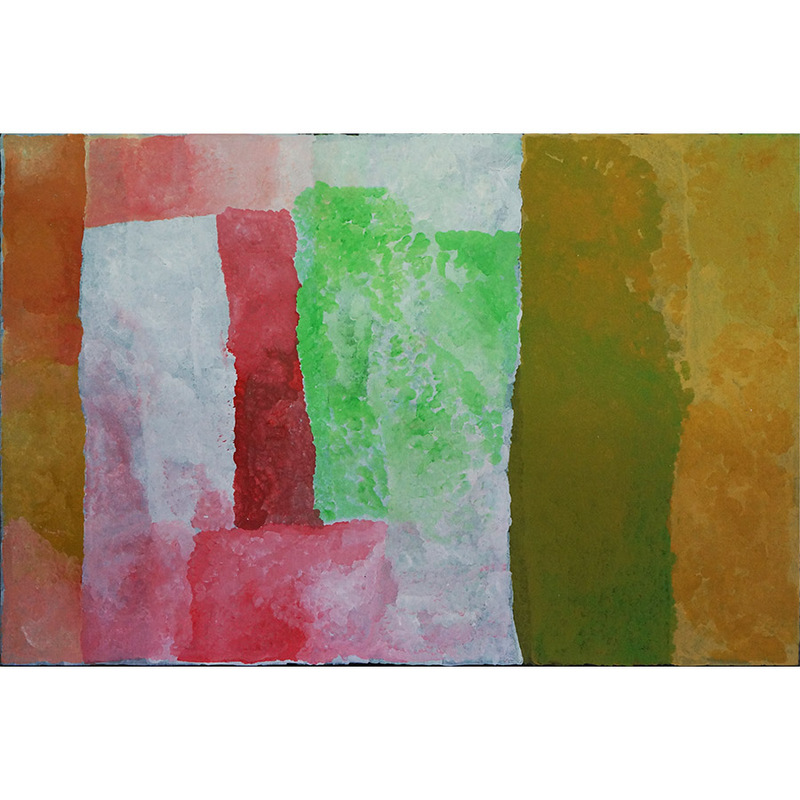 Kudditji uses a heavily loaded brush and a bright palette and by sweeping broadly across the canvas with progressive blocks of stippled colour sectioned alongside each other. 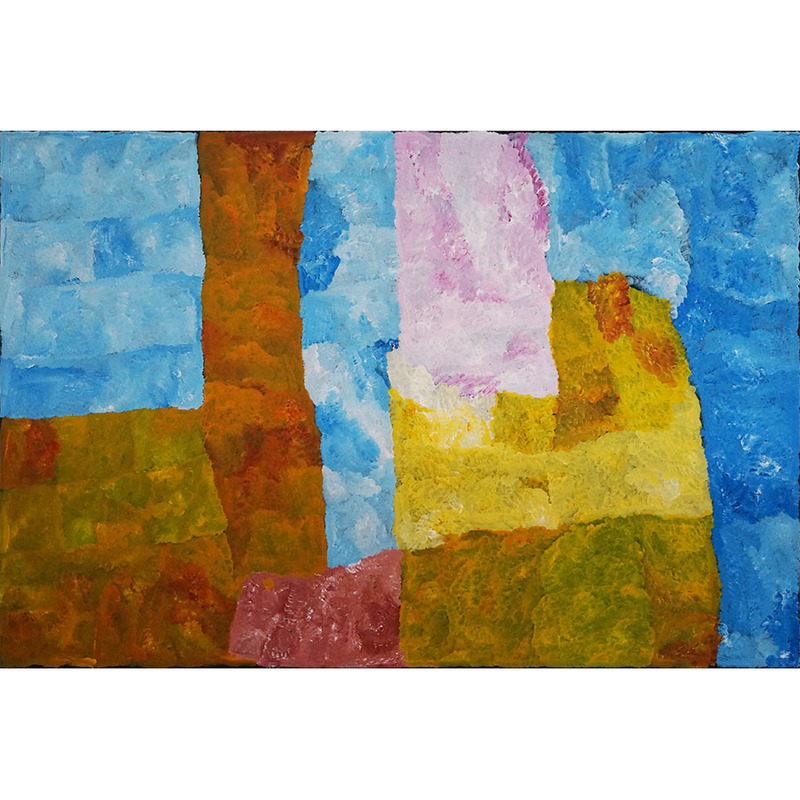 His works are held in major international and national private and corporate collections. 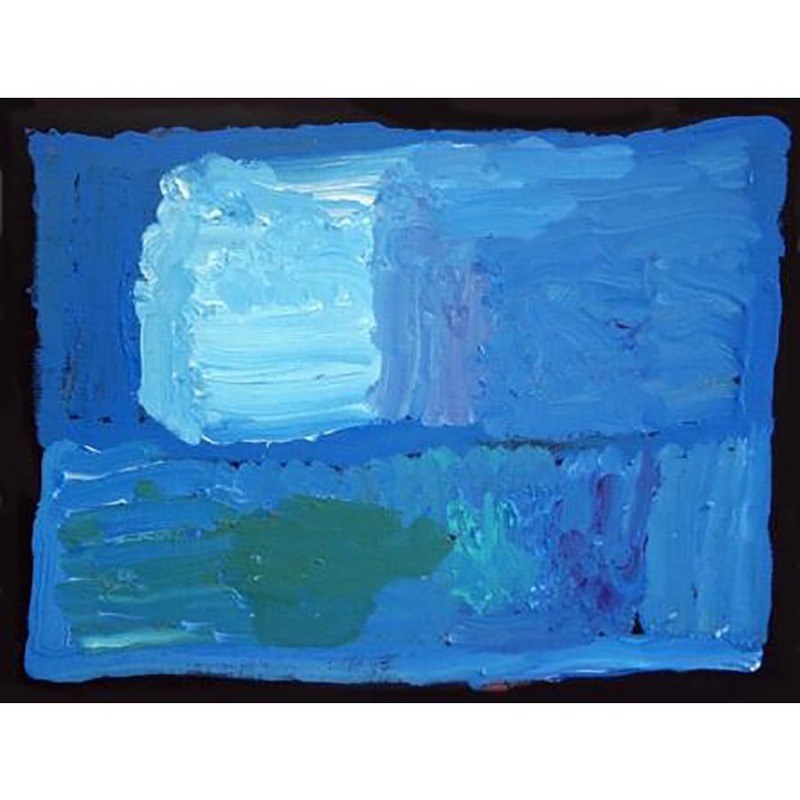 Kudditji Kngwarreye, was born circa 1928 at Boundary Bore, Utopia, north east of Alice Springs. 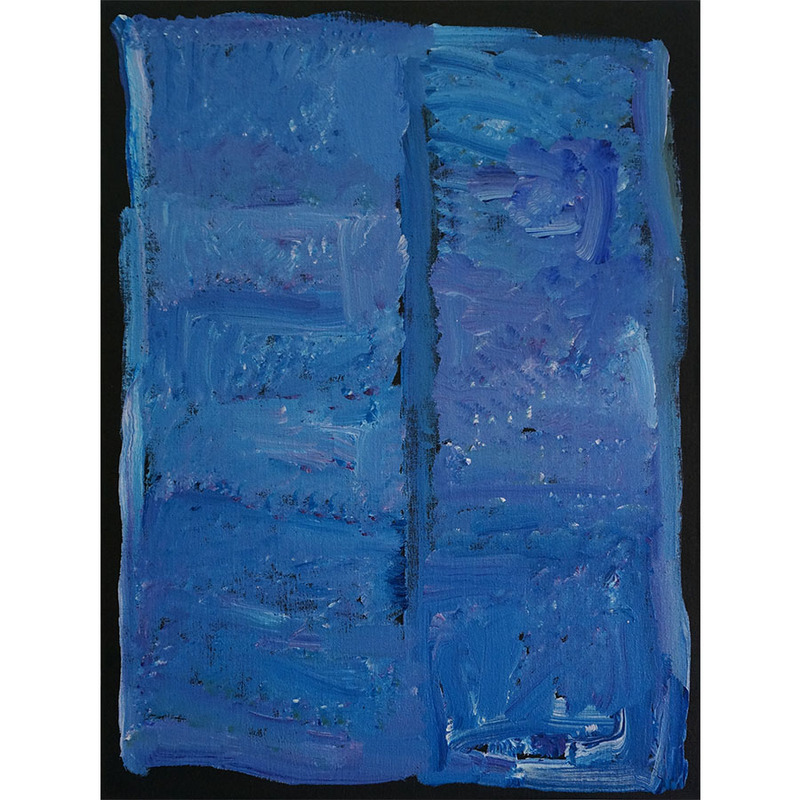 An Anmatyerre elder actively painted since 1986, he is the younger brother of the late Emily Kame Kngwarreye. 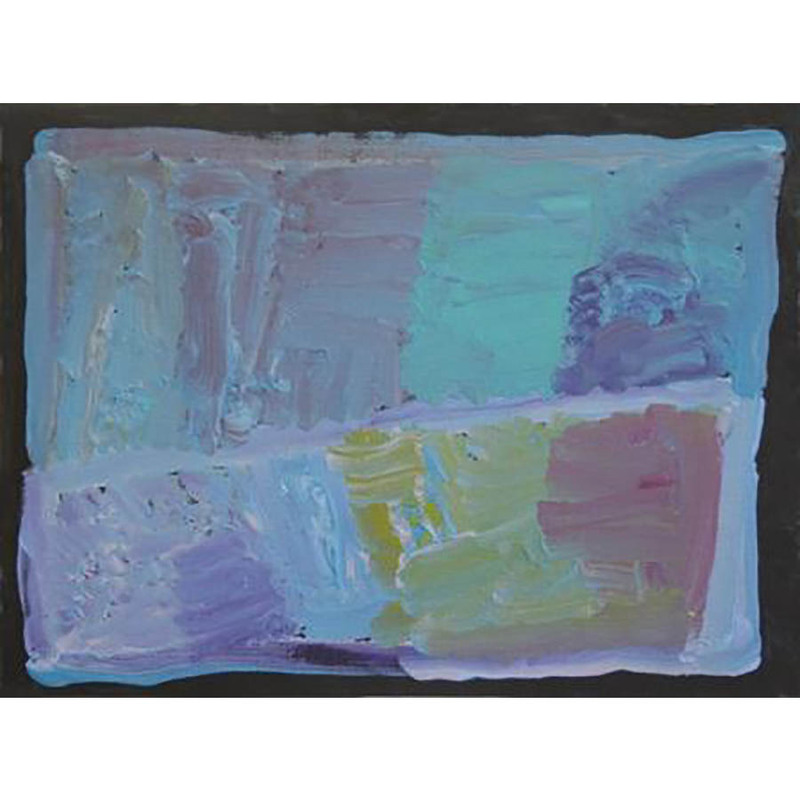 Like many men of his generation he lived a traditional bush life as a child whilst making a valuable contribution to the stockman's profession he also sought employment in the mines prior to developing his painting and settling on an artistic career. His early distinctively articulate pointillist paintings referenced men's ceremonial knowledge including the important Emu Dreaming sites of his homeland, Boundary Bore located in his country at Utopia Station in the Northern Territory. In the mid 1990’s Kudditji took a radical path with his painting style moving away from the pointillist style. Kudditji often points out that whilst some of these paintings may well be reminiscent of his famous sister Emily’s astonishing works from her last series, he was independently painting such works himself! The market it seems wasn’t ready to accommodate such works and accordingly he limited their production, more often producing the dot paintings that would pay their way. We can now be quite certain that a decade ago these minimal and indeed more conceptually challenging works were harder for the market to digest. 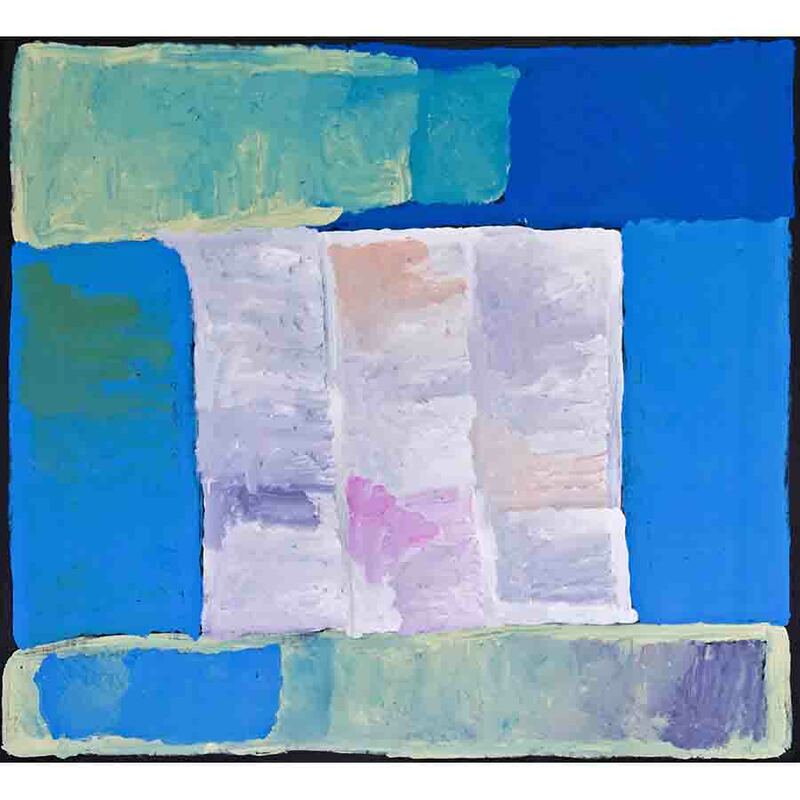 It might be argued that some of these works moved beyond the Aboriginal culture based paintings distinctive to many artists of the period, and sit more at ease with Australian contemporary art in general? (Sometimes it takes awhile for the market to catch up with what’s going on in certain corners of the painting world!). 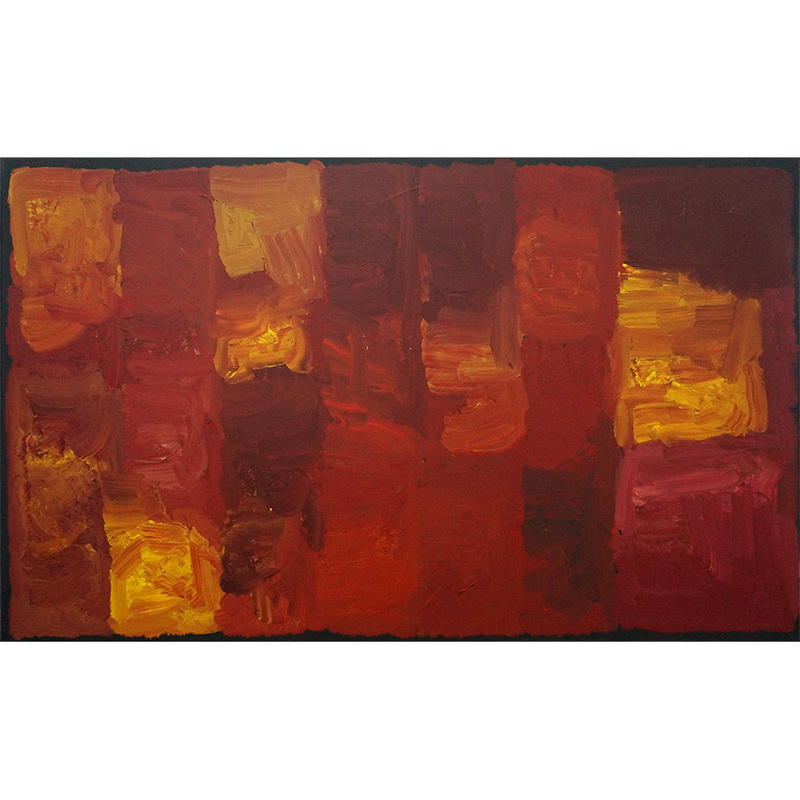 Using a heavily loaded brush and an usually brighter palette, Kudditji’s forms sweep broadly across the canvas. With progressive blocks of stippled colour sectioned alongside each other, the artist has uniquely managed to create a remarkable sense of depth and space. 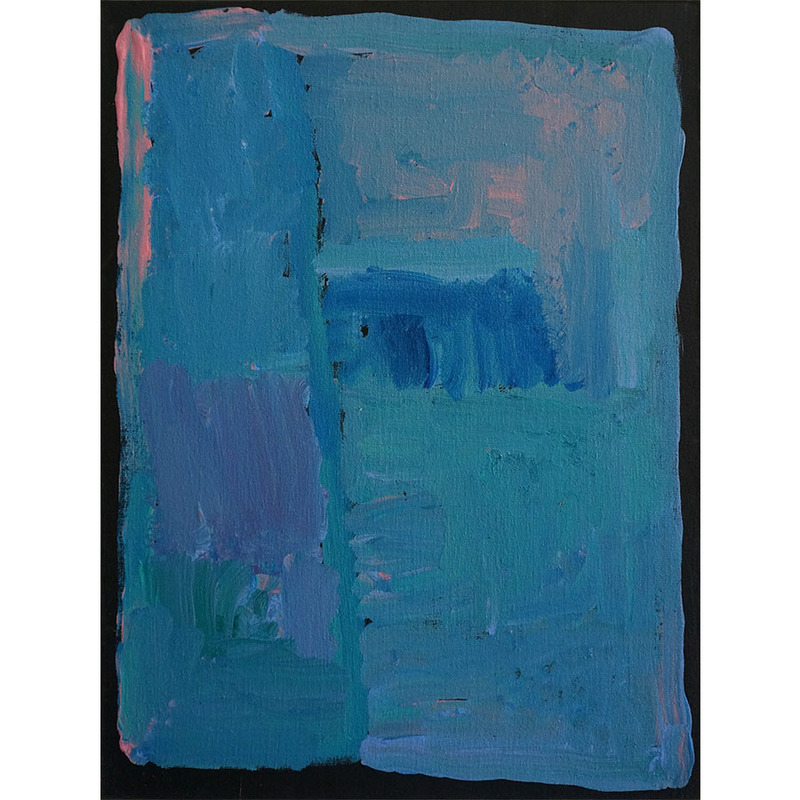 His most recent paintings amplify a bold architectural style, fusing the borders of earth, water and sky, resulting in a dramatic restaging of the colour and form of the desert landscape. Kudditji takes you into his vast landscape and often beyond it! He is quite brazen with his colour combinations, and his use of blue seems to be his ace card. 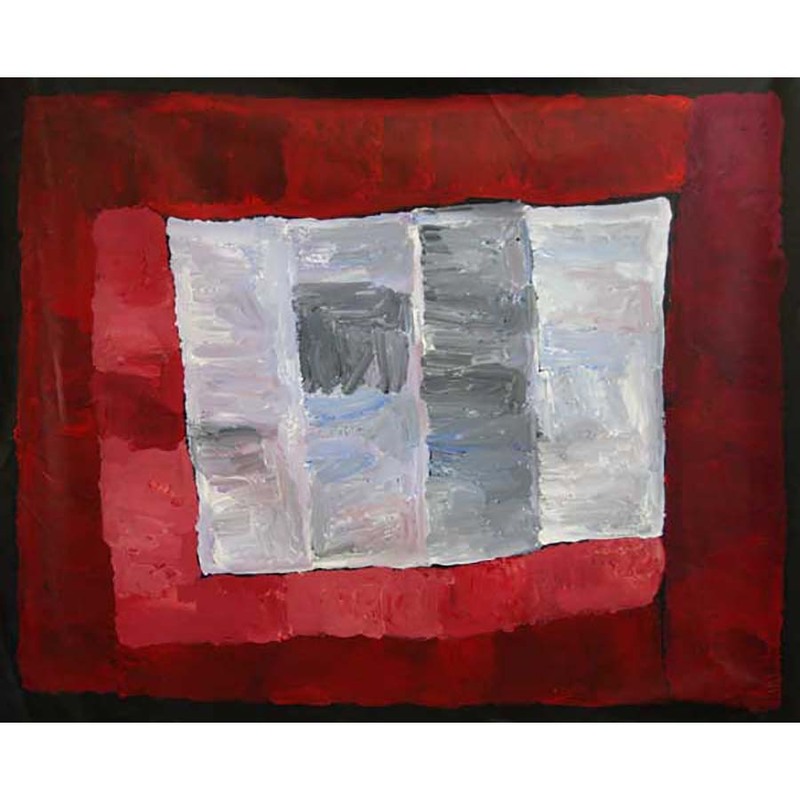 Often for myself, the windows created within these instinctive compositions are like portals and provide an escape hatch for the mind to explore! When first confronted with these new expressions from the desert landscape, it is common for observers to question the identity of the artist. Is he or she Aboriginal? Is it in fact some sort of Dreaming? Is it a landscape? What indeed are we looking at? Fundamental questions indeed for modern art. My answer is quite simple. It is what is in it. Keep looking, what do you see? Art really can be the great escape, regardless! 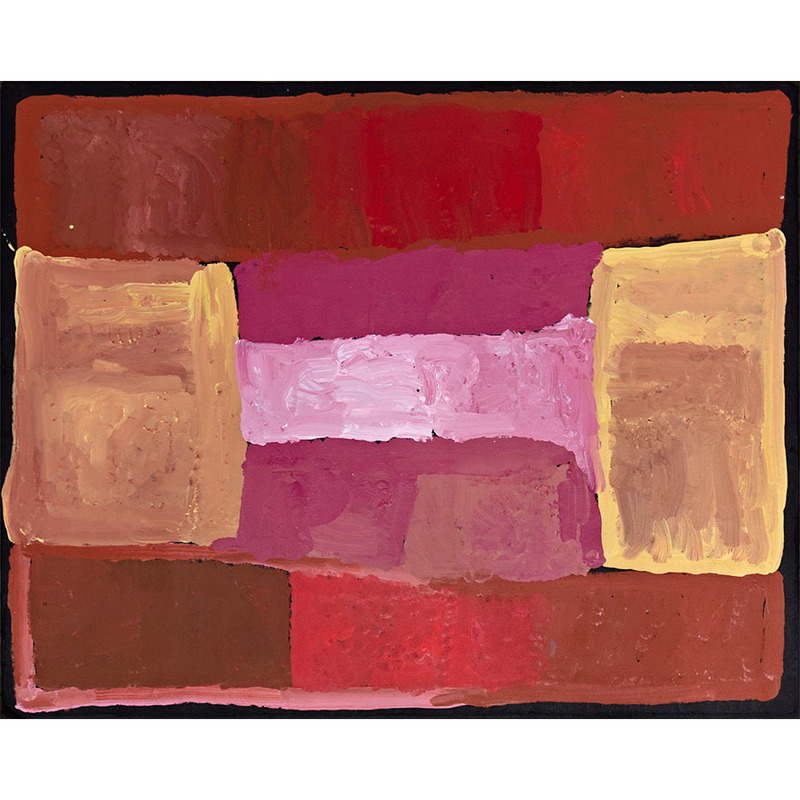 Kudditji Kngwarreye has exhibited in major galleries throughout Australia and internationally, and is widely represented in the collections of Macquarie University, NSW and the Araluen Centre in Alice Springs. 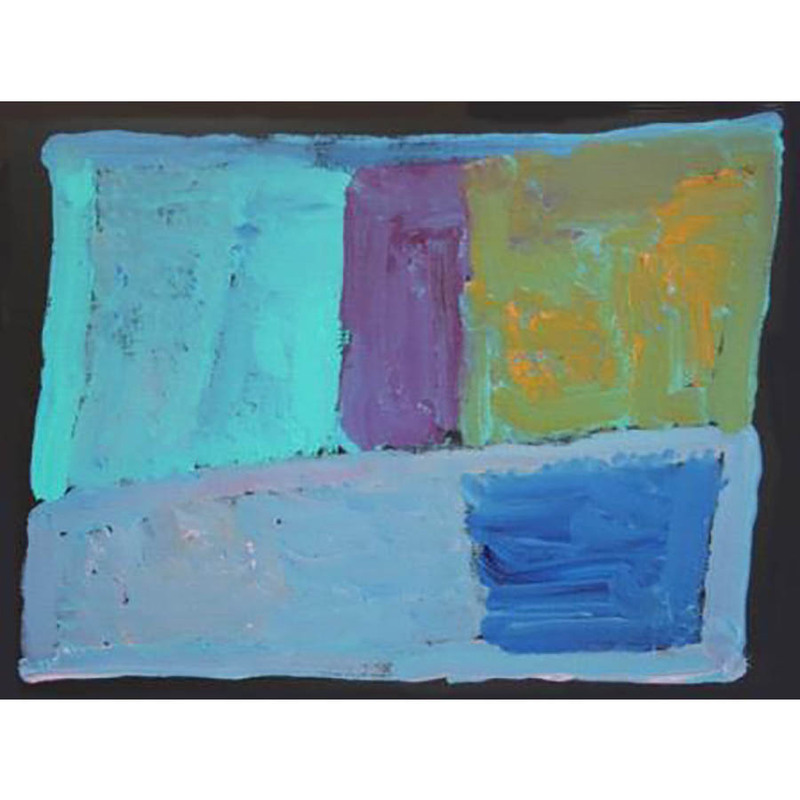 A senior artist now in the twilight of his life, it won’t be long before discerning curators and collectors will be matching these works up alongside other great luminaries within contemporary collections both in Australia and internationally. This remains the ongoing challenge for Aboriginal Art and its’ supporters.